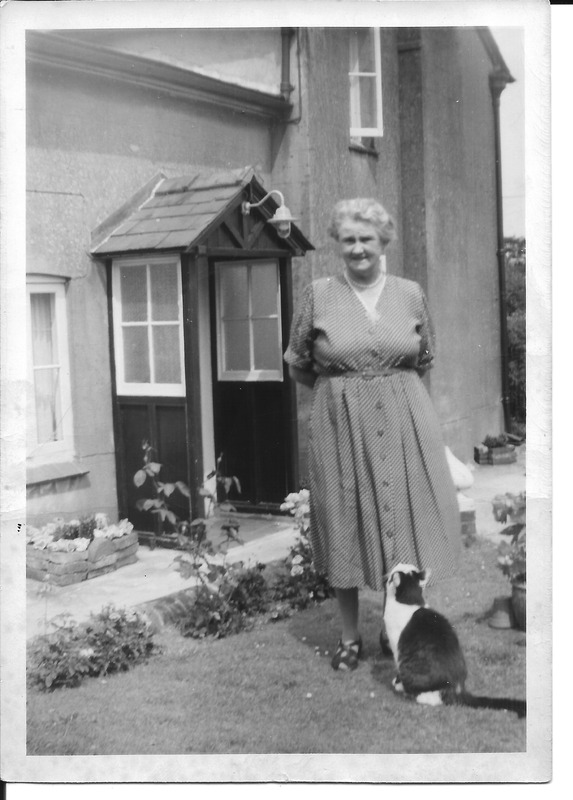 Opening today’s door we find Olive Cleeve in August 1964. Olive lived in Dummer, Basingstoke and was the sister of my grandmother, Annie Dinnis. She was a very quiet, gentle lady and I only knew her through letters and cards she would send at Christmas and birthdays. She never married, but as you can see she had a devoted cat. Olive was the fifth daughter born to Charles Cleeve and Agnes Maffey. She was born on the 9th of February 1898 in Dummer, Hampshire. 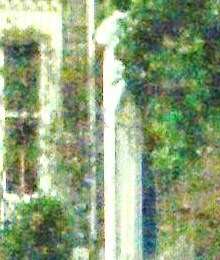 Olive died in June 1979. 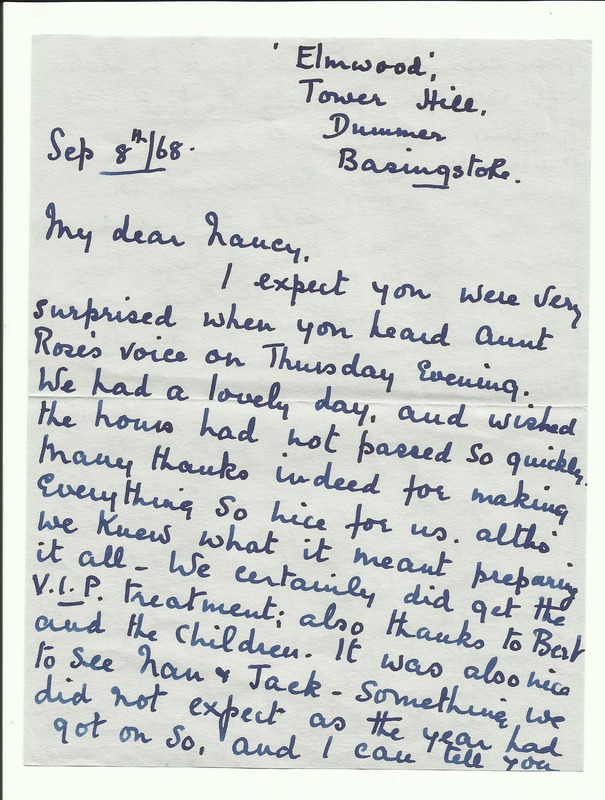 She was very good at keeping in touch by letter, she had lovely handwriting and cared for all her sisters and their families. Olive was my fathers’ aunt and she kept in touch with him during his time away in Italy during World War 2, sending him a postal order for his 21st birthday. He was in hospital at the time, having received bad shrapnel injuries, and it meant a lot to him to hear from family and friends back home. “Now, thank you very much for 15 letters and telegram which I received from you yesterday and today. Thank you very much indeed also for 5/- postal order card and photo’s which I received. These letters meant a lot, and Olive’s care at keeping in touch was very important to us as a family and thinking about her reminds me to try and do the same. 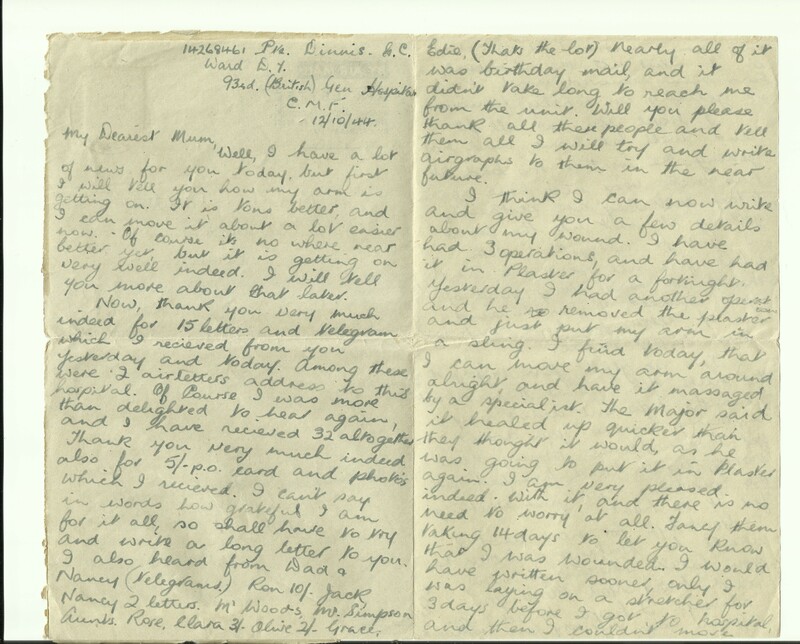 This entry was posted in CLEEVE, Letters, Olive Cleeve and tagged Annie Cleeve, Basingstoke, Davis, Grace Cleeve, letters, Olive Cleeve, Rose Cleeve. Bookmark the permalink. Beautiful post. I love the way the cat is looking up at her. And I had forgotten about the WordPress snow. You are the first I’ve seen with it this year! Yes, I’d forgotten about the snow too. I’d left it turned on since last year – it was a nice surprise when it started up the other day!